Promising Technology Careers start with relevant degree programs! "Employment of computer and information technology occupations are expected to grow 12% from 2014 to 2024, with hundreds of thousands of new jobs." The field of engineering technology is incredibly important to society as you know it. Degree programs that focus on the different aspects of engineering technology continue to evolve to help shape the minds of young learners into innovative and creative thinkers. With this in mind, it is important for you to review the different trends and interests of engineering technology professionals in order to start off with your best foot forward. The entire essence of engineering begins with the idea that people should be able to make the most possible use out of their environment. Whether with the physical environment, medicine, computer science or even product design, professionals in this field may be constantly on the hunt for more efficient methods for conducting business. If you choose to pursue a degree in engineering technology, you could be part of an incredible team of engineering professionals who are responsible for optimizing the environment to its fullest potential. In a tech-savvy economy, engineers may be faced with the challenge of engaging in the robotics era of manufacturing, social interaction and even entertainment. Becoming a part of the field of engineering technology can mean further research into how robotics and automation can help make American lives easier, manufacturing error-free and provide a resource for individuals and families within their own homes. This aspect of engineering may see a rise in interest over the next decade. Engineering technology is not always focused on consumer convenience and business. This field also takes a strong interest in preserving the environment and safety of the people that are engaged with it. One interesting trend is sustainability. Within this area, professionals may be looking for ways to create environmentally friendly ways to provide power to industrial organizations, gas alternatives and even more health-conscious methods for disposing of manufacturing waste. Promoting the safety of society is another trend in engineering that is likely to remain strong in the years to come. Through the planning and design of skyscrapers and industrial buildings, engineers can help to ensure the safety of people employed by these agencies, as well as those outside of them. Engineers can also work to find efficient solutions to safety concerns within the general public, such as unsafe roads, structures and pollution. Over the last decade, computer science has emerged as one of the largest and most influential business fields in the United States. Students choose this degree path mostly due to its influence in society, as well as its reliability in terms of a career choice. People all over the country rely on computer information technology during their daily routine, using it for personal use, during the course of their career and to maintain contact with family members. With computer science having such an influence in the lives of people all over the world, there is no surprise that there are new and constant innovations taking place behind the scenes. Since so many people are affected by computer science and technology, one of the most vital trends in this field can be found within cyber security. Teams of computer science professionals are constantly seeking new and innovative solutions to cyber attacks in all forms and sizes. Artificial intelligence software may be constantly changed and improved to assist with maintaining control of these negative influences in society, marking a high need for educated IT professionals all over the country. Running alongside the field of robotics, machine learning is one of the most remarkable trends for computer science professionals in current society. In machine learning, computer science professionals create programs that can potentially learn new information through the use of data. Data can be pulled from various networks, information storage or even from customer data. Programs have already been developed with predictive software, image recognition and even voice-response searches. In the years to come, society may see an increase in machine learning capabilities brought about by computer science teams. In society, there are many different businesses that are connected via the general public. Information sharing and processing is often conducted through email, hand to hand retrieval or through verbal communication. The goal of this trend is to create a new network of information that can be accessed by relevant organizations within one large area. This data-sharing program would allow smoother services for patients or customers and better record-keeping. In the very near future, computer science professionals aspire to connect these networks in order to provide more ease of communications for treatments, services and even things as simple as paying an electric bill. There are many different kinks to work out in such an elaborate information system, so teams of computer science professionals may be working in this area for some time before it is totally introduced to the public. Computer science can potentially change the way that people interact with their environment. Whether it be something as simple as making a purchase online or something more elaborate such as providing home climate control via a cellular phone, computer science is making a difference in the way that people conduct their daily lives. The field of education may see some increased attention from computer science professionals in the future, since so much attention is being paid to online degree programs across the country. Becoming a part of the field of computer science can lead to many fascinating projects that make life a little easier each day. 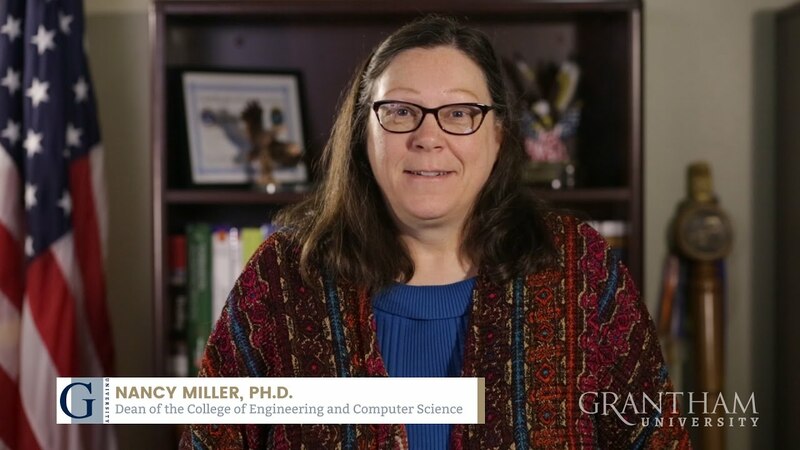 Message from the Dean Nancy Miller, Ph.D.
Hi, I’m Nancy Miller, and I’m the Dean of the College of Engineering and Computer Science. I want to personally thank you for taking the time to learn more about the programs within the college. We have programs from the Associate’s level to the Master’s level covering a wide breadth of the technology spectrum, from engineering technology and computer science to information systems, cybersecurity, information management, and information technology. We strive to make the programs hands-on and engaging through simulations, virtual desktops, hosting accounts, and even home electronic kits. We also keep the programs relevant and current through consultation with representatives in industry. For instance, we have or are developing electives covering topics in Ethical Hacking, Social Engineering, Hadoop, wearable technology, and security of cyber physical systems. One thing I’ve noticed is that many students are afraid to enroll in technology degree programs, thinking that the degree will require a lot of math. But our programs have a range of expectations with respect to math, some requiring little math, and they all start with College Algebra. Our goal is to make technology-related degrees accessible to as many people as possible. In addition to great programs, Grantham University has student advisors and tutors available to support you throughout your journey. As you explore our programs, please feel free to contact me or an admissions representative if you have any questions. The mission of the College of Engineering and Computer Science is to prepare adult learners for careers in engineering, computer and information technologies through online integrated curricula that blend theory, application and general skills needed to succeed in a changing global society.